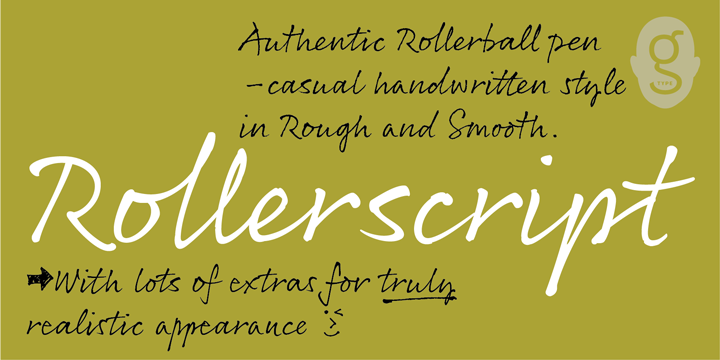 Rollerscript is an handwritten typeface created by Nick Cooke and published by G-Type that was inspired by slipping a roller pen on paper. With a natural effect on hand using a roller pen you can take a toll o your projects. It has two styles to choose Rough an Smooth and is perfect for invitation, card, magazine, notes, signature, personal things. A font description published on Thursday, July 17th, 2014 in Fonts, G-Type, Nick Cooke by Alexandra that has 7,978 views.